Marriage is golden but so is silence. Find out why for less than $3.00! Have you ever found yourself in one of those peculiar situations where you just can’t help but say the wrong thing? Whether it be traveling abroad, attending a wedding, or enjoying a business lunch sometimes you just can’t help but find yourself with your foot in your mouth creating the most awkward and uncomfortable situations. While it may seem like common sense, some phrases and questions really are difficult to decipher. Sometimes it’s because the person just isn’t thinking. Other times the person just might be curious. Regardless of the reason, there’s no denying that people just don’t know how to act! It becomes even more obvious when you are the recipient of the unwelcome comments and tasteless questions. Luckily, there is now help. After finding myself on the receiving end of way too many comments in poor taste (and been the one to unknowingly deliver them), I’ve decided to start an ebook series designed to help people avoid them. 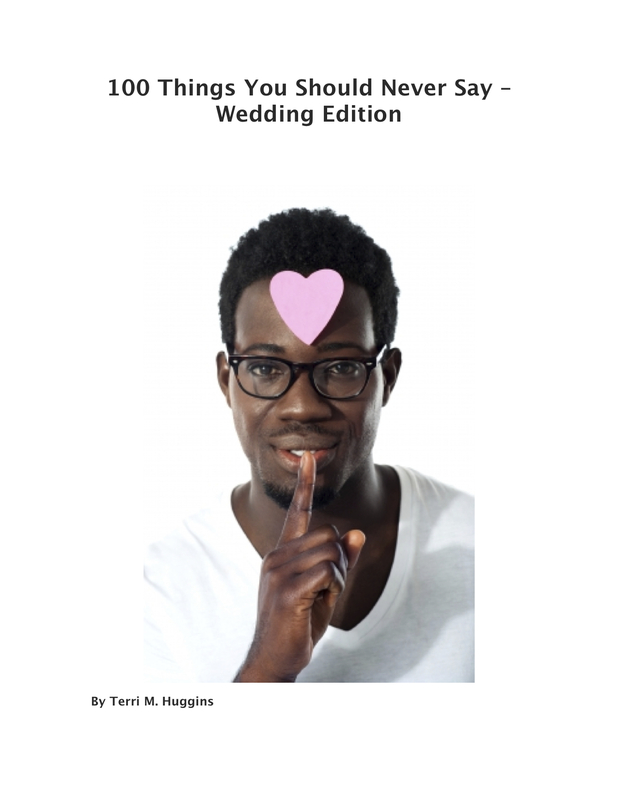 The series will include books describing what not to say in several scenarios such as weddings, at parties, when traveling, during lunch dates etc. Not only will the book provide practical advice on how to keep your foot out of your mouth, it will have you nodding in agreement, blushing with embarrassment and reflecting on past experiences as you see yourself in the scenarios. Check out the first installment here. What makes it worse is knowing that anything you say from that point on could never make it better no matter how much you grovel or apologize. I will now forever be remembered as “the woman in the store that called me fat by assuming I was pregnant.” Needless to say, I’ve never made the mistake of uttering those words again. But could you blame me? We were in the maternity department and she was measuring maternity clothes against herself! When have you made a thoughtless comment to someone that did more harm than good? In what situations do you find yourself on the receiving end of comments in poor taste? TERRIfic Quip: Be your own advocate. No one can do it as well as you.